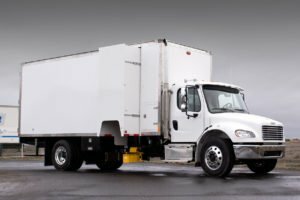 If the shred-trucks in your fleet have “born-on” dates between 2008 and 2013, you and many others like you are almost certainly facing end-of-life decisions for your current chassis. According to NTEA, the average age of medium-duty vehicles— the backbone of any mobile shredding fleet—is between five and ten years. While this may be the average, the low mileage, high-hour applications common in most shredding operations may mean that these engine components, in particular, are experiencing an end-of-useful-life sooner than expected. For the many owners that find they are operating a battle-tested shredder mounted to an aging chassis and experiencing ever-growing maintenance expense, a chassis swap may be a viable alternative to an entirely new unit. 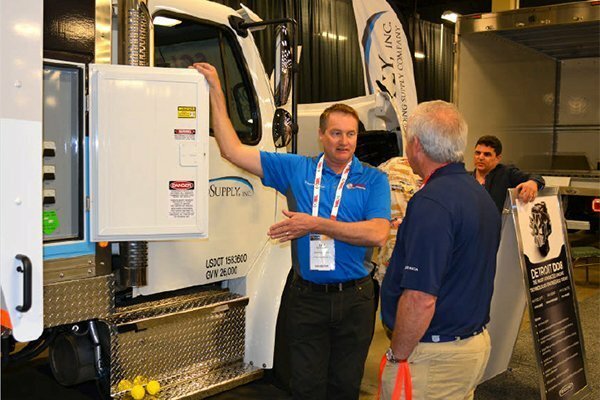 More than one of the demo trucks at this years’ NAID Conference & Expo in Nashville featured re-furbished shred equipment mounted on a new chassis. Price ranges vary depending on the scope of work performed and are reported to range from the low to mid $100,000s. Some operators are also opting to add integrated hard-drive shredders to older shred bodies as part of the chassis upgrade to take advantage of increased customer demand for digital destruction services. Many operators are also finding that loan/lease options for refurbished equipment match what they would see on all-new trucks rather than the somewhat limited options present for used chassis/equipment financing. As we all march forward into another year of industry growth and increased customer awareness of sound information security needs, the good news for Isabell, and for all owners facing fleet renewal decisions, is the variety of options, new chassis technology, and vendor support available within the NAID network. While new shred-trucks will always be needed to support industry growth, owners now know they have at least a few viable options to give new life to old shredders.